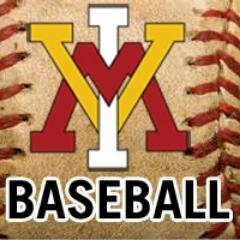 After 10 games on the road and two weeks away from home, the VMI baseball team will finally get to play in the comfortable confines of Gray-Minor Stadium. The Keydets home opener is set for Friday at 3 p.m. vs. Northern Kentucky University, and the two teams are scheduled to square off Saturday (2 p.m.) and Sunday (1 p.m.) as well. VMI is 2-8, but has played a very tough schedule, including a three-game set at #14th-ranked Clemson University. The starting pitching staff has done well thus far, with five of the six Keydets to start a game posting ERAs of 4.50 or lower. Junior Jacob Menders has a 3.38 ERA in two starts, Zak Kent comes in at 3.48 and a 1-0 record with nine strikeouts in 10 1/3 innings. Adam Jewell has a 3.60 ERA and Zach Sanders has an ERA of 4.50. Early spring batting averages are often low, but some VMI batters are doing a good job of getting on base. Ryan Smoot has walked nine times and has five HBP. Cody Warner has seven walks, while Michael Diodato has six. VMI and Northern Kentucky have never played each other in baseball. Northern Kentucky is 0-7 on the season, losing just 5-4 at the University of Kentucky Wednesday. The Wildcats scored four runs in the bottom of the ninth for a come-from-behind victory. Left-fielder Billy Marion was 2-3 with two RBI and a double and Griffin Doersching recorded a hit, a walk and an RBI. NKU’s nickname is the Norse.